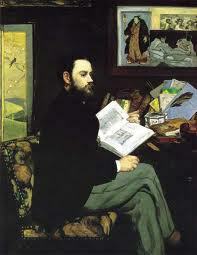 This is a collaborative blog, created through the joint efforts of readers who enjoy the works of Émile Zola. We hope to gather information about his works in one place for quick and easy reference, and we welcome contributions from other enthusiasts. To access the commentaries that we currently have, visit the Index of Works page (see the menu) where there are links to follow under the title of the work. Also visit our sister site La Comedie Humaine which is a resource for readers of Honoré de Balzac, and our new site celebrating the author Guy de Maupassant. This blog is the brainchild of Lisa Hill from ANZ LitLovers in Australia and Dagny a.k.a Madame Vauquer from the Vauquer Boarding House. Other contributors are Guy Savage from His Futile Preoccupations; Emma (whose native language is French) reads Zola in the original French, but blogs in English at Book Around the Corner; Nancy from Silver Season; and Jonathan who has just joined the blogging world to share his expertise here. We also welcome Rachel who blogs at Bookishly Witty to the team, and as of 2017, Karen from Booker Talk..
And what about you? If you have suggestions, corrections, additional information, or commentaries, summaries or excerpts on your own website that you would like to share, please use the contact form below. We would also welcome contributions recommending the best translations. I will send you an invite so you can contribute at any time. Kudos and many thanks to Nancy for creating our Banner. Thank you, Bettie. I agree! Nancy (Silver Season) did a great job on it and deserves all the credit.